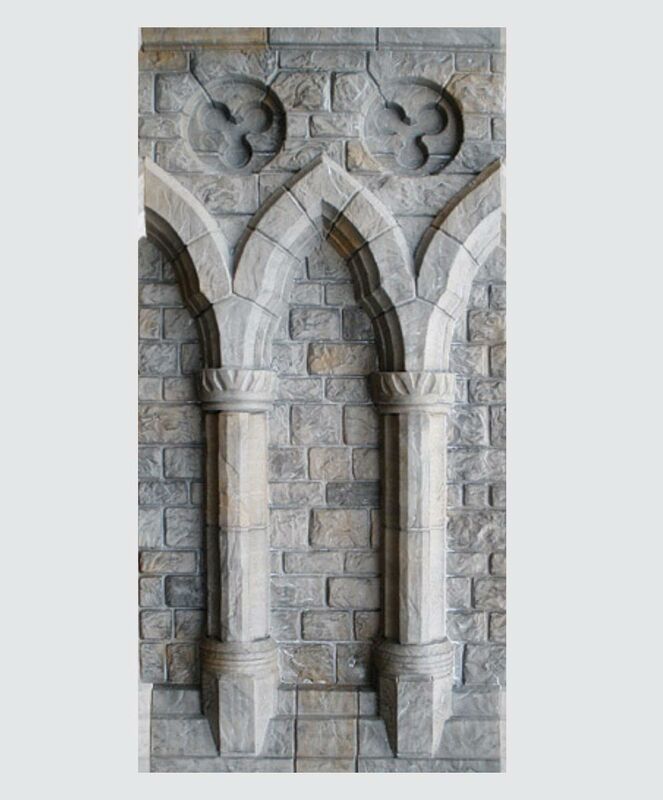 Use a row of these interlocking walls to create a monastic arcade. Also, they may be placed back to back and cut out for a full walk-around experience. These hand painted panels are just like the real thing, every stone is different. With each panel being done by hand this allows us to paint your panels in a natural way with no two alike. Our thermoformed .090" ABS plastic, is thicker and stronger than many competitors’ products.